Ah, yes, a little late getting to this week’s iTunes Chart Watch and I would have just let it go were it not for one big, big deal on this week’s chart. Friends, I never pass on an opportunity to gush about the wonders of Guster and their new album Easy Wonderful debuted in the Top 10 on the albums chart this week. We’ll talk more about that but let’s go ahead and dispense with the rest of what’s around in this week’s chart. Taylor Swift is now the #1 single with “Speak Now” and alleged future felon Bruno Mars has the #1 album. The interesting thing here is Swift. She took serious heat for some unspectacular live performances in front of large television audiences last year. Despite the critical drubbing and catcalls, her single is #1. Putting aside my opinion of Swift, I kind of like that her fans had her back and gave the critics the finger. It feels funny to say that but I don’t consider myself a critic so much as a music writer. I write reviews. I analyze albums and offer my insights into them. I’ve written positive, negative, and mixed reviews of records. I like doing this. I’m always happy to know there are people who agree with my particular view of a record but I don’t fancy myself a kingmaker and I never want to be one. Yes the world would be a better place if I was the final arbiter on good and bad music and everyone followed suit but the contrarian in me likes it when the kids give the grownups the finger. Good for you, Taylor Swift fans. 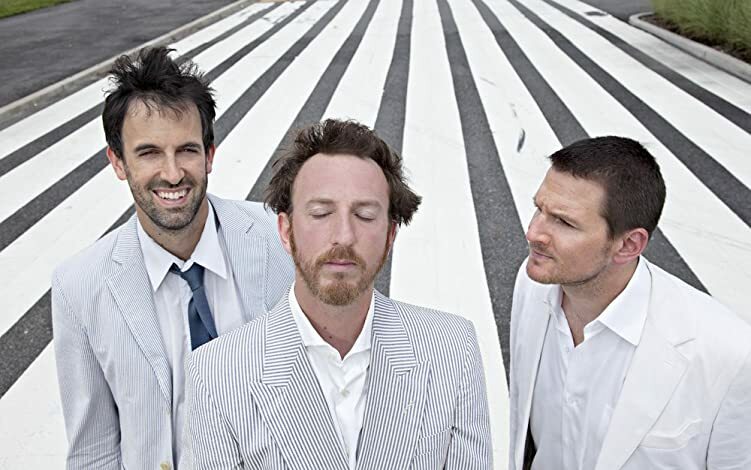 Beyond that, the only thing I really want to talk about is how much I like Guster’s Easy Wonderful and how great it was seeing the band’s October 1 show in Nashville to kick off the tour in support of it. I don’t take validation from seeing records I love doing well in the charts but I do get satisfaction from it. I don’t possess that “root for the underdog” mentality as a sports fan, preferring to cheer for my team regardless of their position or status, but I guess I do when it comes to music. Their latest album, Easy Wonderful, debuts in the Top 10. Guster makes great pop records filled with catchy melodies and fantastic harmonies that I slaughter as I listen to them in the car. Despite the sweet sounds and the air of happiness and fun woven in to so much of their music, there is often an undercurrent of searching, longing, and even a little melancholy in their lyrics. I like when artists can give you a spoonful of sugar to make the medicine go down. I also like music that puts a smile on my face. My anthem for 2010 is “Bad, Bad World.” It’s a sunny melody with a friendly “Cheer up, emo kid” message all packaged in a hooky, singalong song. I’ve been meaning to get a review of this up and I will. I will get this done. In the meantime, I’m going to do a victory lap and listen to Easy Wonderful. You should, too.